Let It Ride is a Broadway musical based on the 1935 Broadway farce Three Men on a Horse by George Abbott. The musical, with book by Abram S. Ginnes and music and lyrics by Jay Livingston and Ray Evans, choreographer Onna White, assistant choreographer Eugene Louis Faccuito (Luigi), opened in New York at the Eugene O'Neill Theater on October 12, 1961, and played 68 performances. The original production starred George Gobel, Sam Levene, Barbara Nichols, and the cast included Paula Stewart. 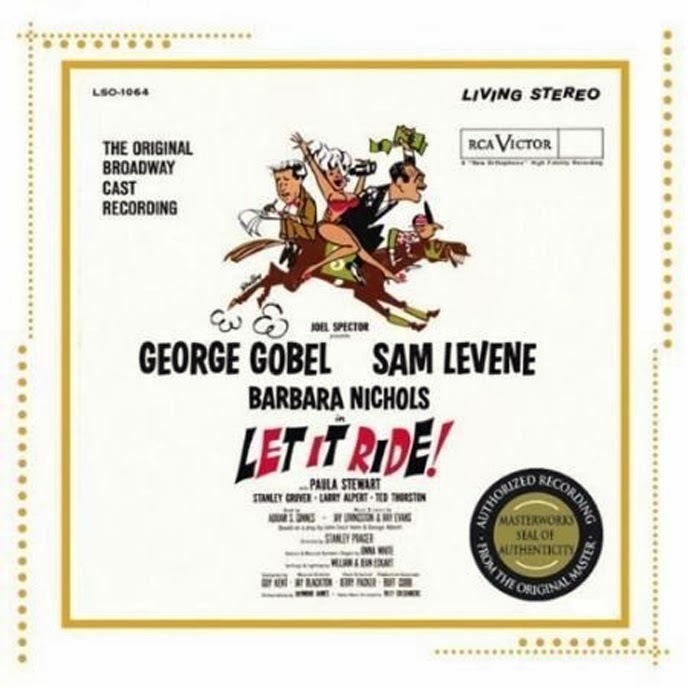 0 comments on "George Gobel & Various Artists - Let It Ride (OBC) 1961"